Noisy water pipes can prove very irritating even to the most patient of souls . They are much worse in the middle of the night when everything is quiet and all you hear is the rattle of metal pipes. 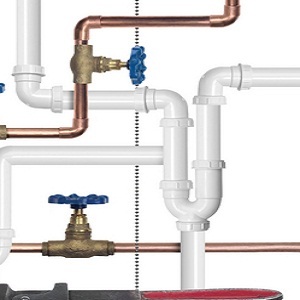 This problem might ask for plumbing help in the severe forms but there is no harm in looking into it yourself and try to repair using some basic handy tips. This guide below has some of these tips for you to repair those irritating noisy water pipes. You never know what might earn you an undisturbed sleep at night. 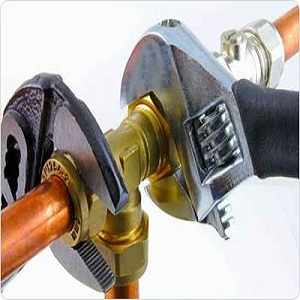 The first step is determine which pipe is creating the noise so that you can repair it. Follow the noise to get to its source. The nature of the noise will give you a hint about its cause. 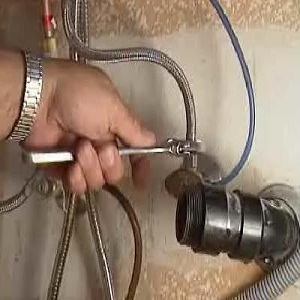 If you hear rattling noise, the chances are that the pipe has gone loose of its clamp or frame. Secure the clamps tightly. Get new clamps if the old one have gone too loose. If your pipes are copper, do not get galvanized anchors for them because metal on metal creates great noise. Use brackets and screws to fix the pipes to their frame. Use a rubber foam around the ratting pipe. This will cushion it against any abrasions that cause noise. These sounds are created due to filling of air chambers with water. You have to create an air vent to eliminate this. Turn off your main water supply. open up all the faucets in your house and let the water run out. A sign that the problem has been solved is when the water coming is in form of 'spits' indicating that the air has been released. 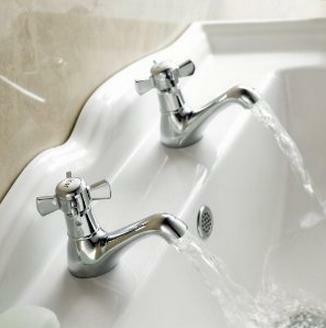 A squeaky noise is an indication that the pipes are expanding due to the hot water running through them and clashing with their clumps or into each other. A good use of insulating foam will help you get rid of these noise. 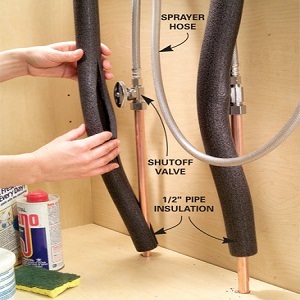 Foam pipe insulation is the best tool that you have.